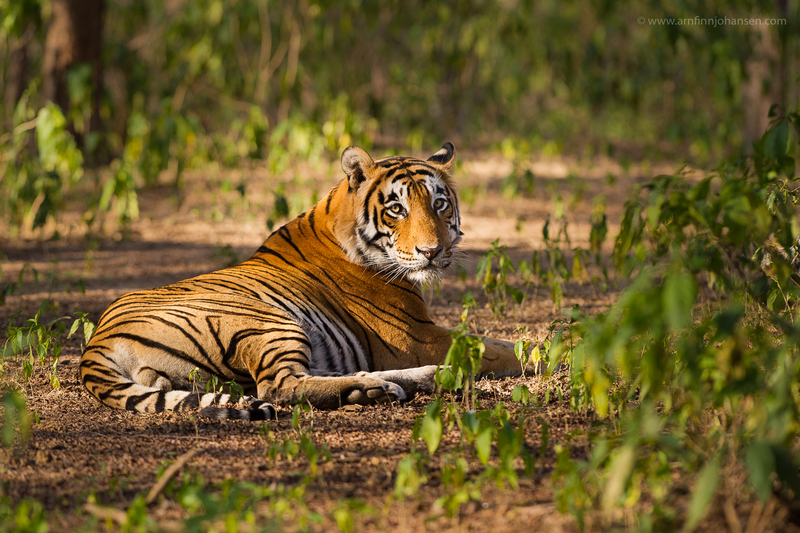 Ranthambhore national park in Rajasthan in India is wide famous for its tigers. Over the last few decades tigers have become more and more active during the day, challenging the earlier belief that they are only nocturnal animals. Ranthambhore is devided into five different zones, and offers a spectacular variety of dense jungle, rocky openings, meadows, lakes and streams, valleys and high cliffs. The number of tigers in the sanctuary is now about 40, and if lucky you can also see leopards. 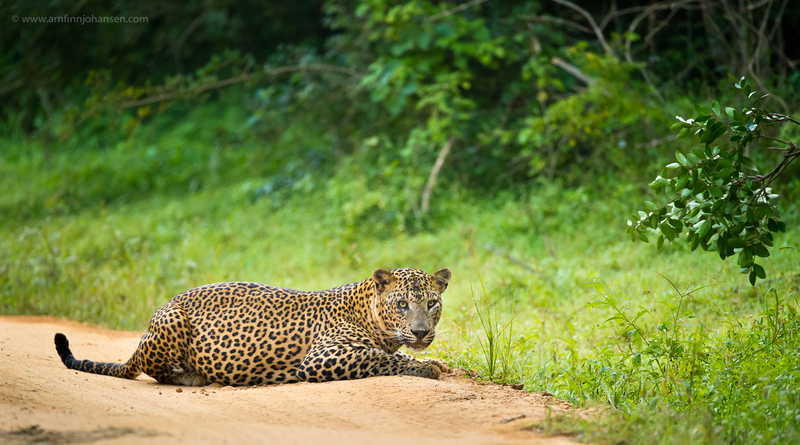 Yala national park on the south-east coast of Sri Lanka offers the highest density of leopards in the world. 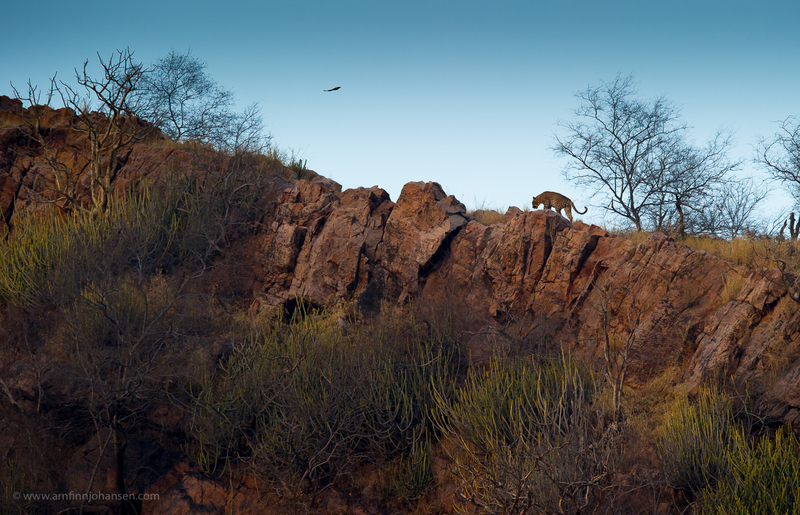 This is in the core area of the national park called “block 1”, which covers 190 square kilometers and counting impressive approxomately 80 leopards. Nevertheless, the landscape is bushy and rocky, so for really good sightings you need a very good guide. Here I will recommend Mevan Piyasena. 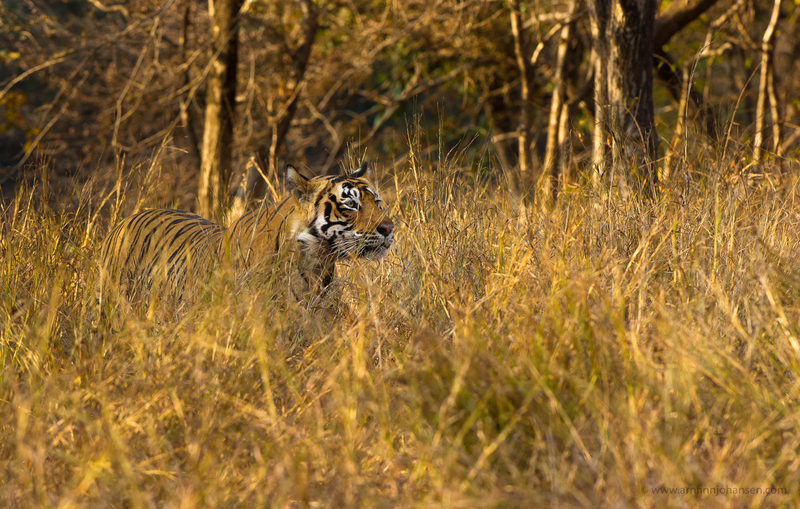 Below are some images from Ranthambhore and Yala taken in January 2012. Click on the images below to enlarge and see them in 1400px resolution. Please also leave your comments below if you like. 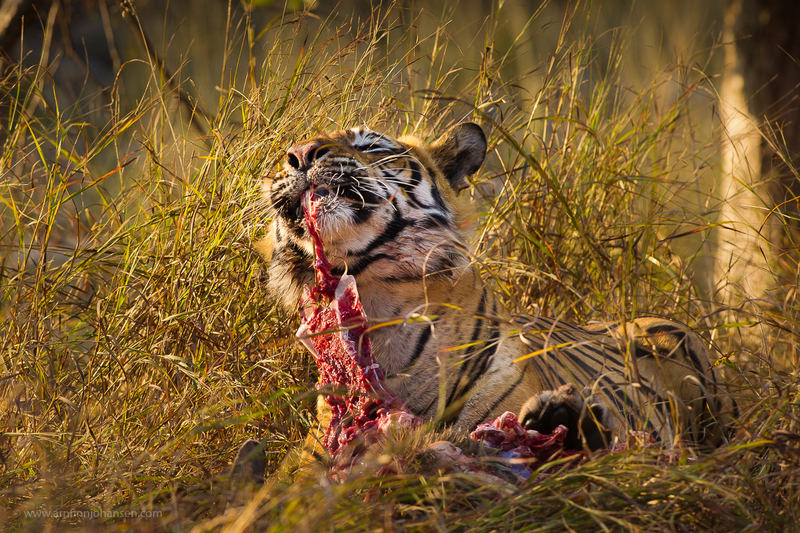 Male tiger, 6-7 years old (“T24”) on a fresh sambar kill. Ranthambhore. Nikon D3s, Nikkor 600/4 VR, 1/400 sec at f/5.6. ISO 1250. Nikon D3s, Nikkor 300/2.8 VR II, 1/500 sec at f/5.6. +1/3 EV, ISO 1250. Male tiger, 6-7 years old (“T24”). Ranthambhore. Nikon D3s, Nikkor 300/2.8 VR II, 1/500 sec at f/6.2. +1/3 EV, ISO 2200. Male tiger, about 8 years old (“T28”). Ranthambhore. Nikon D3s, Nikkor 300/2.8 VR II, 1/500 sec at f/4. +1/3 EV, ISO 560. 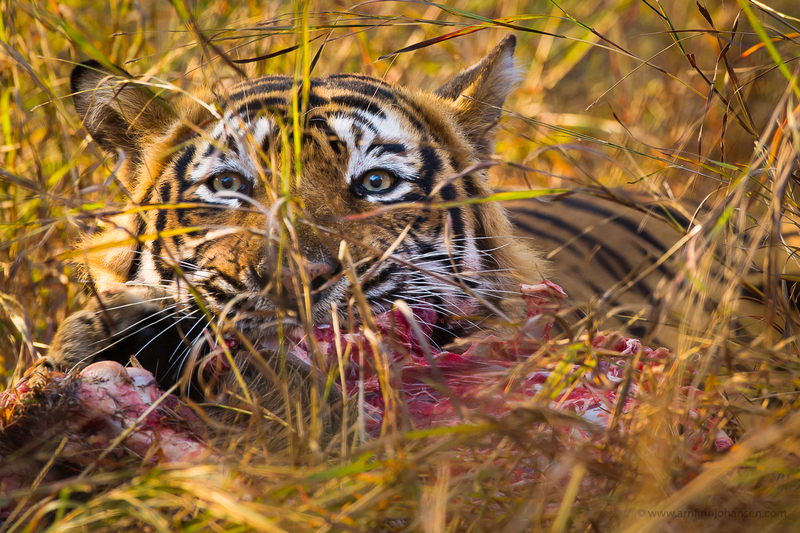 Female tiger, 5-6 years old (“T17”) attacking a sambar in the high grass. Ranthambhore. Nikon D3s, Nikkor 600/4 VR, 1/640 sec at f/5. ISO 5000. Male leopard on a cliff ridge in the evening with a rufous treepie flying over. Ranthambhore. Nikon D3s, Nikkor 600/4 VR, 1/640 sec at f/6.3. ISO 2800. Male leopard, 6+ years. Yala. Nikon D3s, Nikkor 600/4 VR, 1/500 sec at f/4. +1/3 EV, ISO 3600. Nikon D3s, Nikkor 600/4 VR, 1/640 sec at f/5.6. +1/3 EV, ISO 1100. 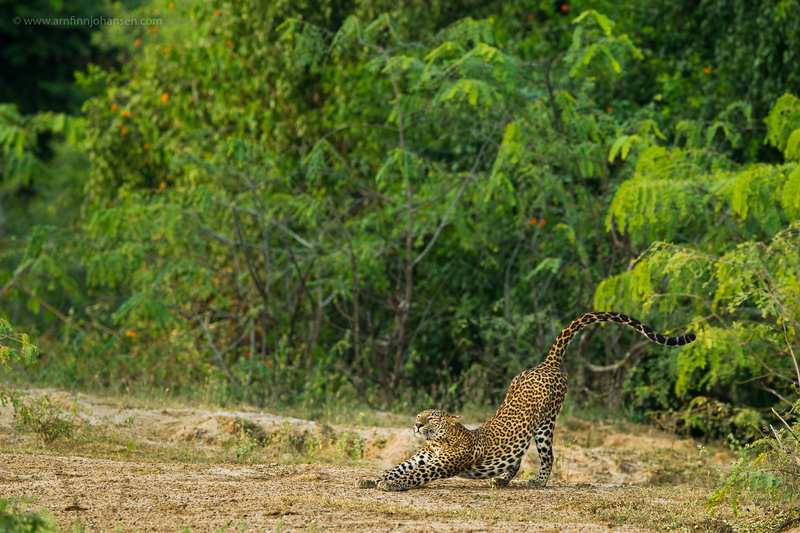 Young female leopard stretches out. Yala. Nikon D3s, Nikkor 600/4 VR, 1/640 sec at f/5.6. +1/3 EV, ISO 1000. 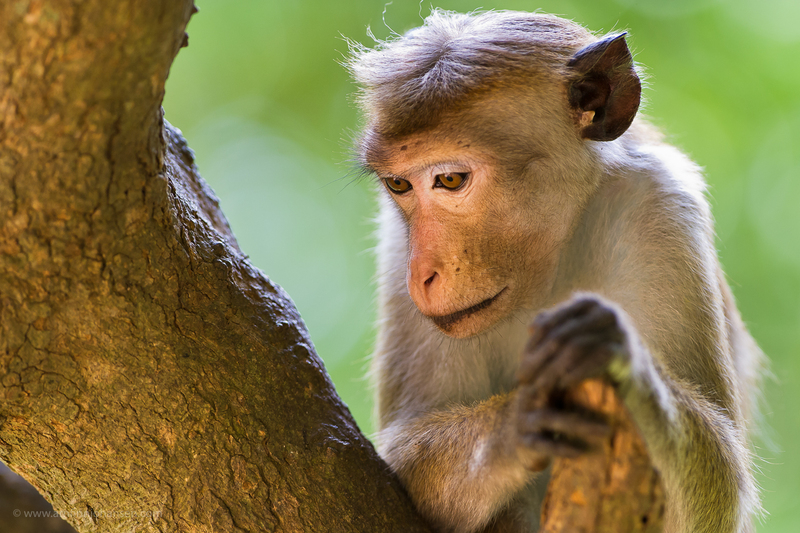 Toque Macaque in deep thoughts. Yala. Nikon D3s, Nikkor 300/2.8 VR II, 1/500 sec at f/4. +1/3 EV, ISO 1600. Ranthambore tiger on the Sambar kill – eyeball to eyeball, Arnfinn – what a picture..
Herregud, du sa du var “skeptisk”… dette var jo kanonbra !! Det første tigerbildet på sambarkill tak kaka !! Hi Arnfinn, greta pictures. 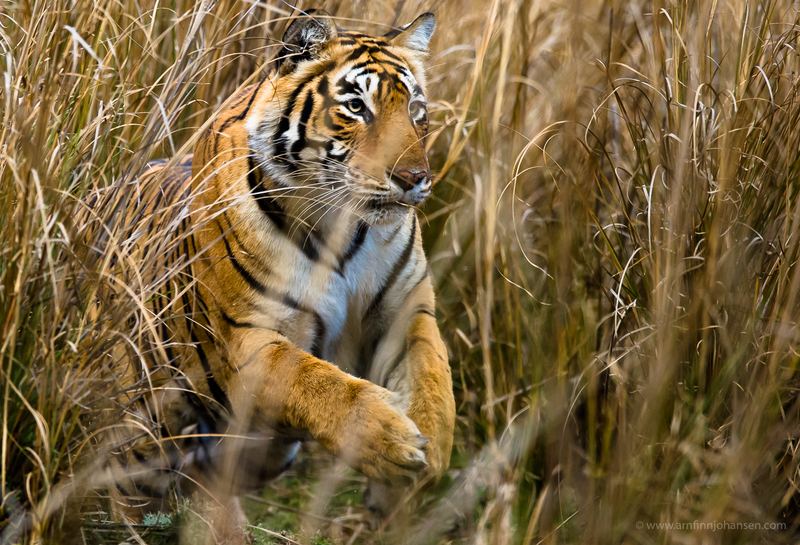 I love the tiger in the grass, so jealous that you can shoot ISO 5000 ! 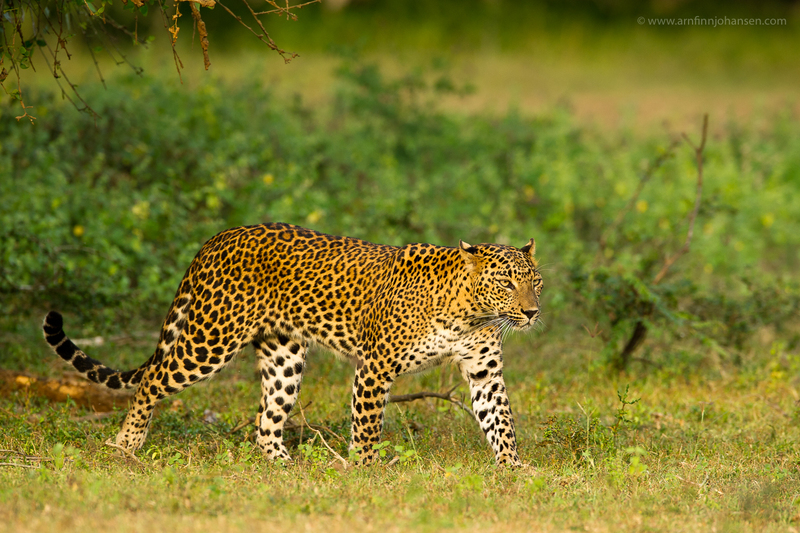 Yala leopards are beautiful too. Nice Arnfinn, The stretching leopard shows so much content. Leopardene er bare rå…..knallbra bilder Arnfinn!